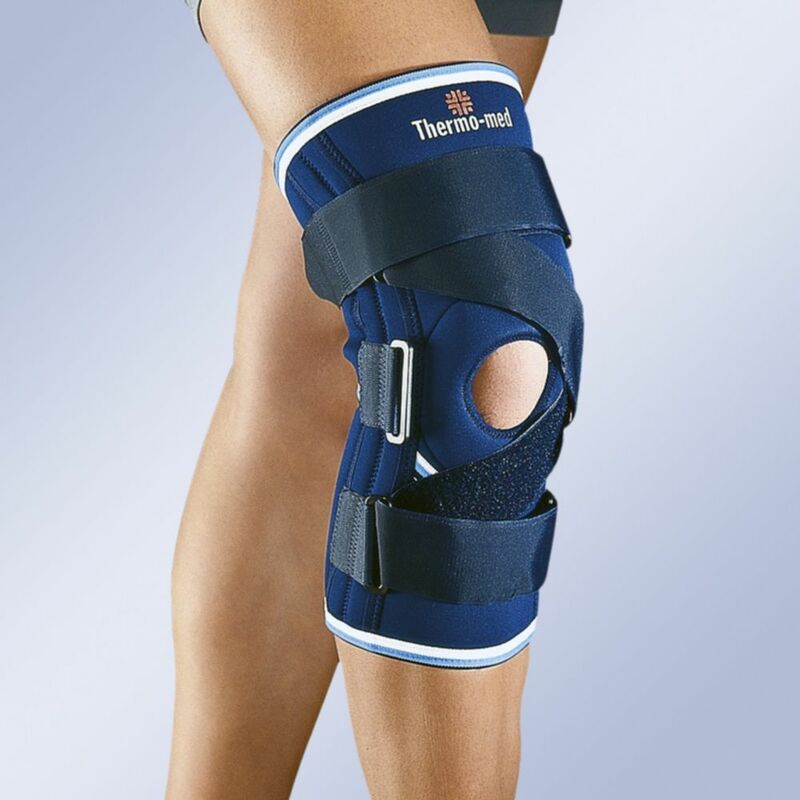 Neoprene knee support with open patella. Neoprene knee support with open patella, interchangeable patellar pad, adjustment strap and lateral stabilisers.Calf opening. Indications: patella distensions, Instability of crossed and lateral knee ligaments.